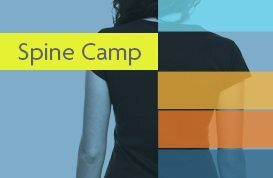 Springfield Neurological and Spine Institute (SNSI) now offers Spine Camp, a class designed for our patients to interact with spine experts in order to help them understand what to expect before, during and after surgery. Our goal is to get you the information you need so you are fully prepared. You can bring a friend, spouse, family member or coach so they can learn too!